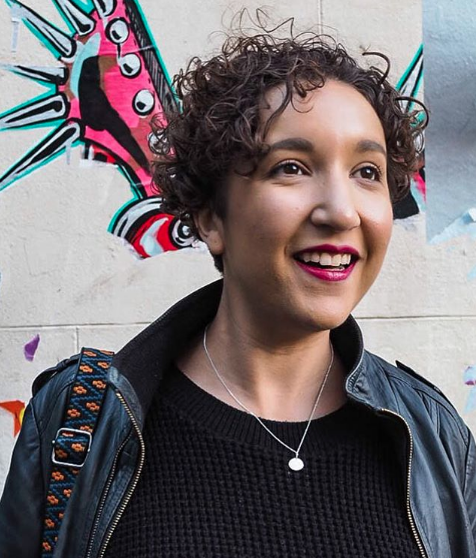 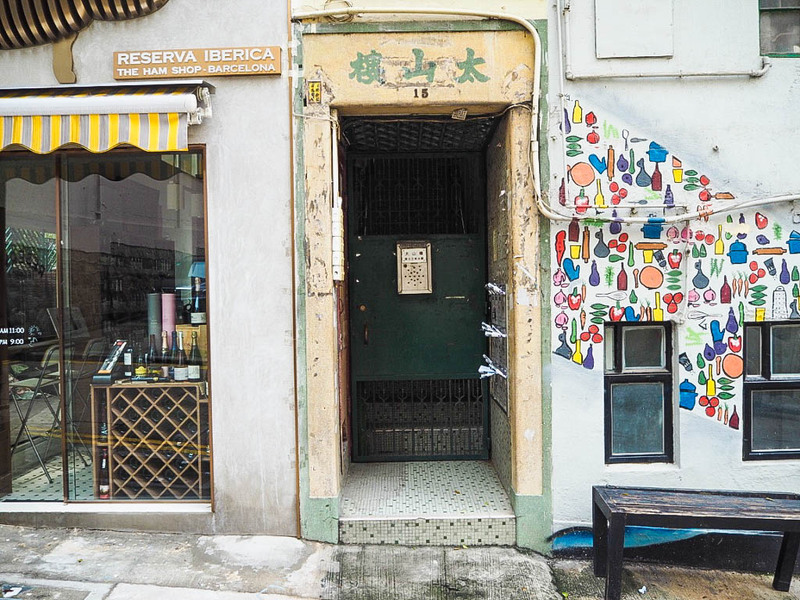 There are gorgeous independent boutiques selling everything from fashion to homewares, vintage shops to rifle through, yoga studios and juice bars. 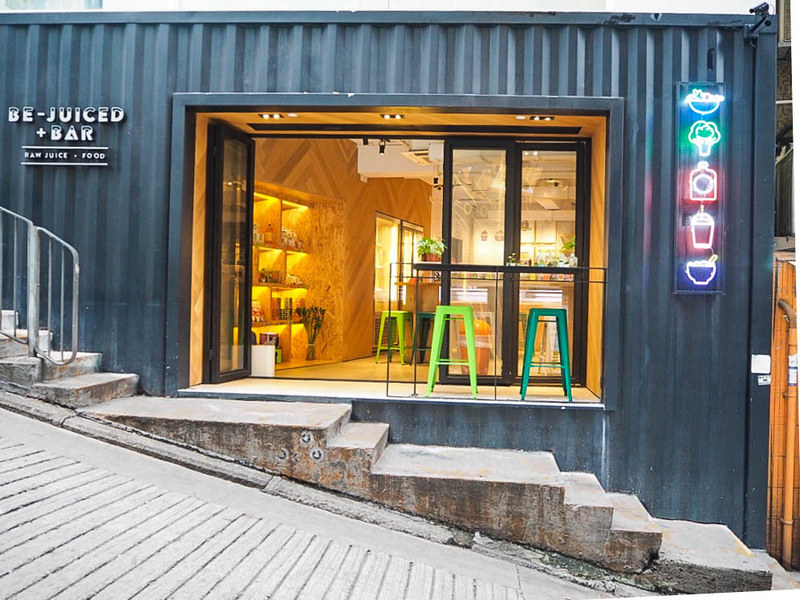 It’s clearly where those with disposable income could go wild in the aisles for something a little out of the ordinary, but it’s not elitist, it’s just all perfectly presented and totally unique. 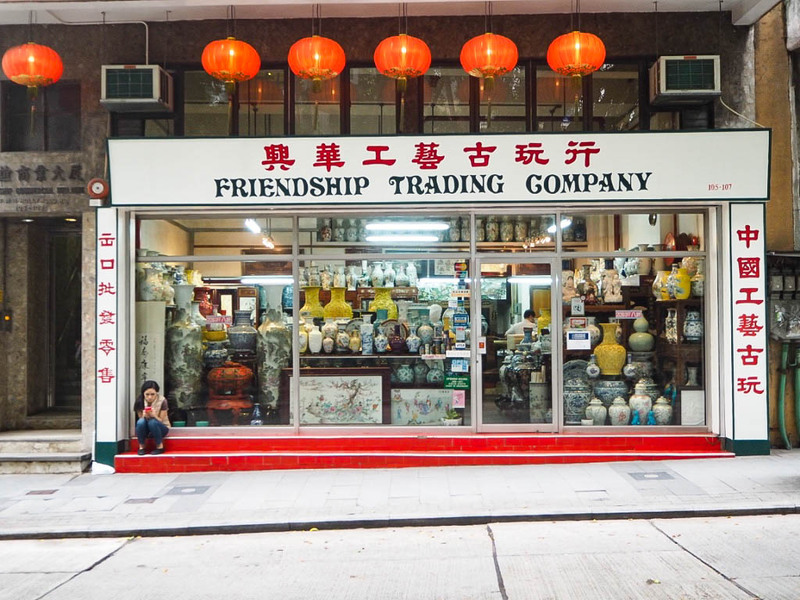 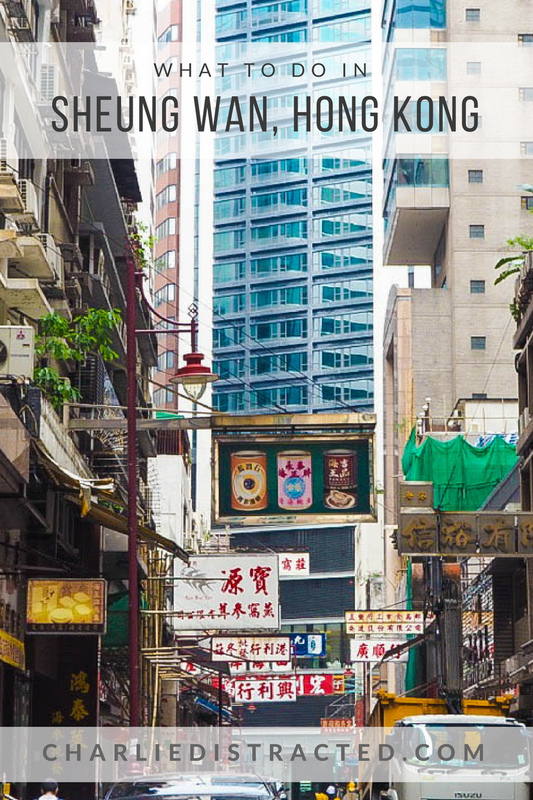 A world away from the designer stores in Causeway Bay. 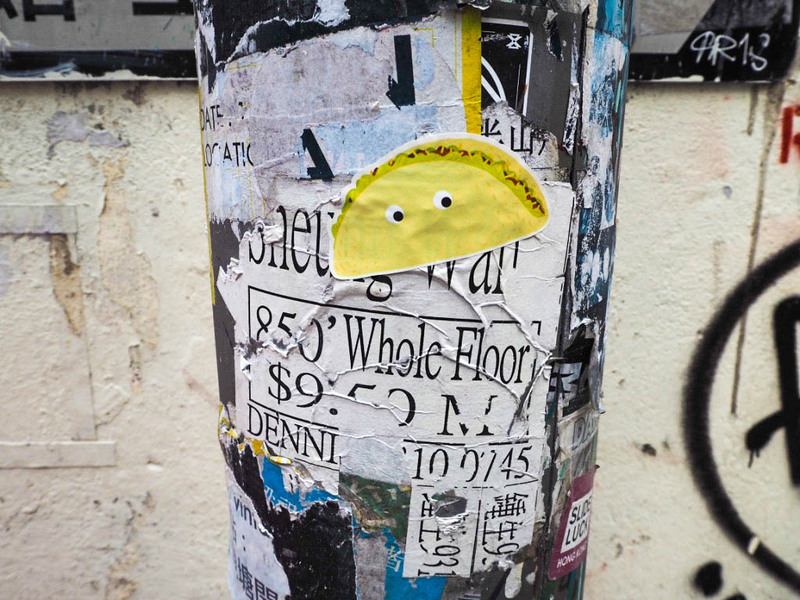 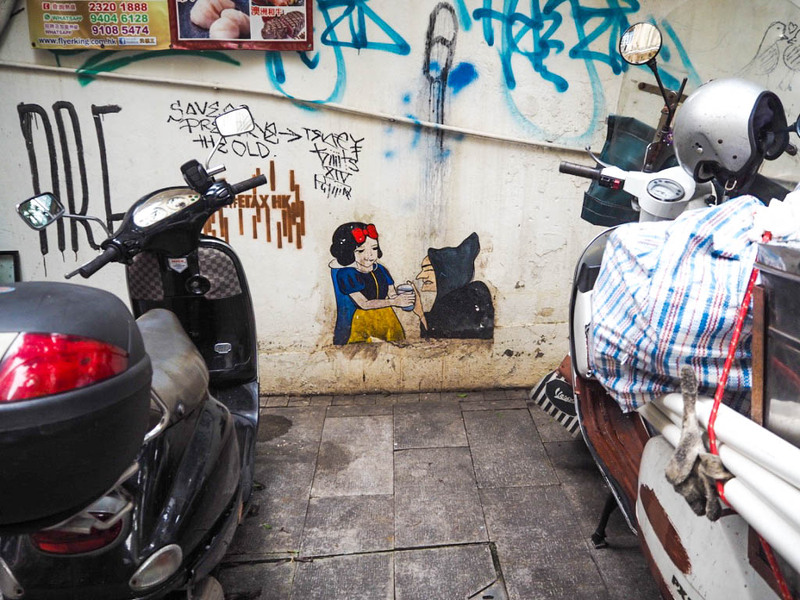 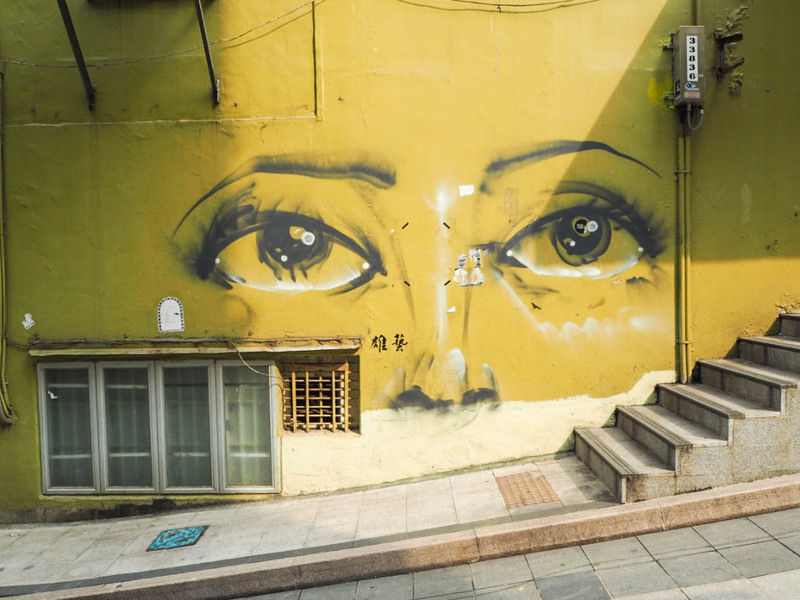 It’s no secret on these pages that I love discovering awesome street art, whether it’s home or abroad. 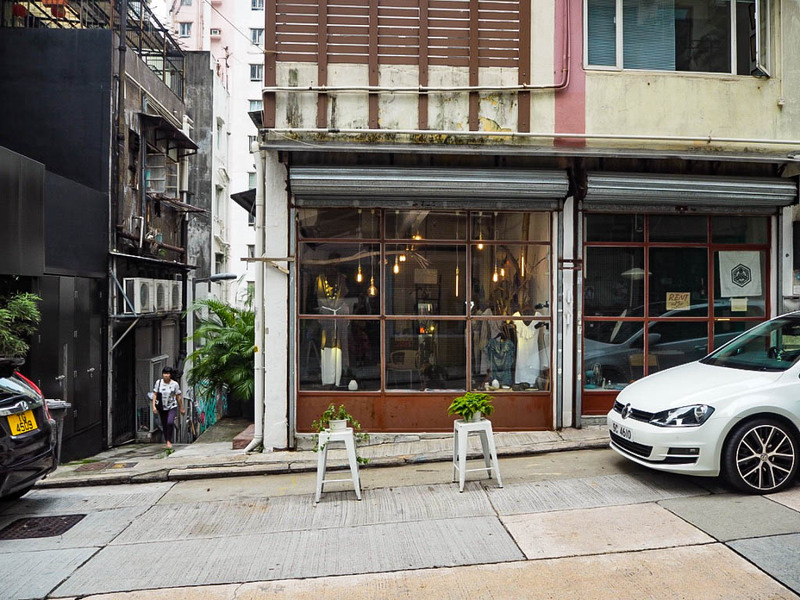 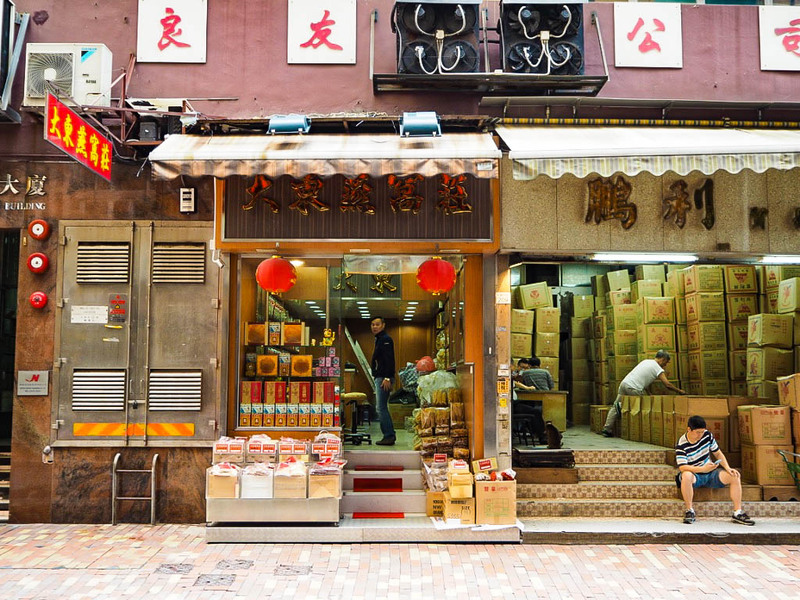 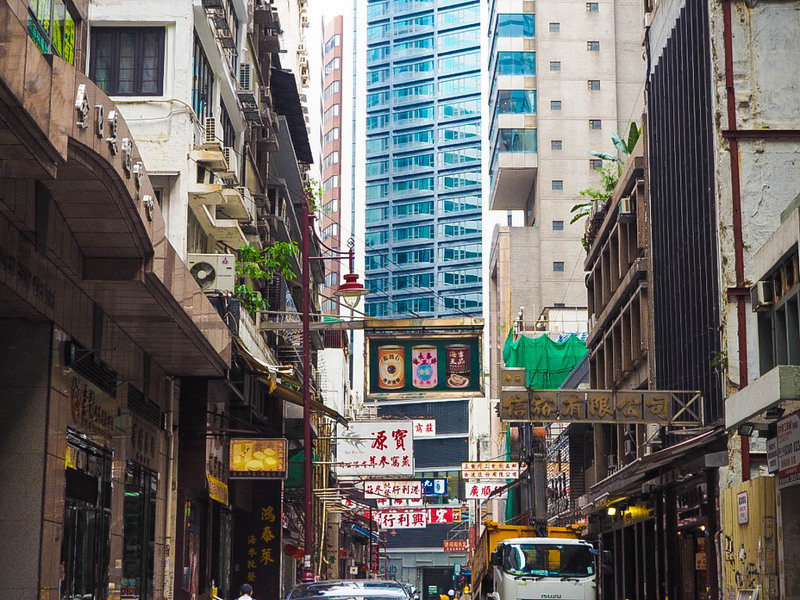 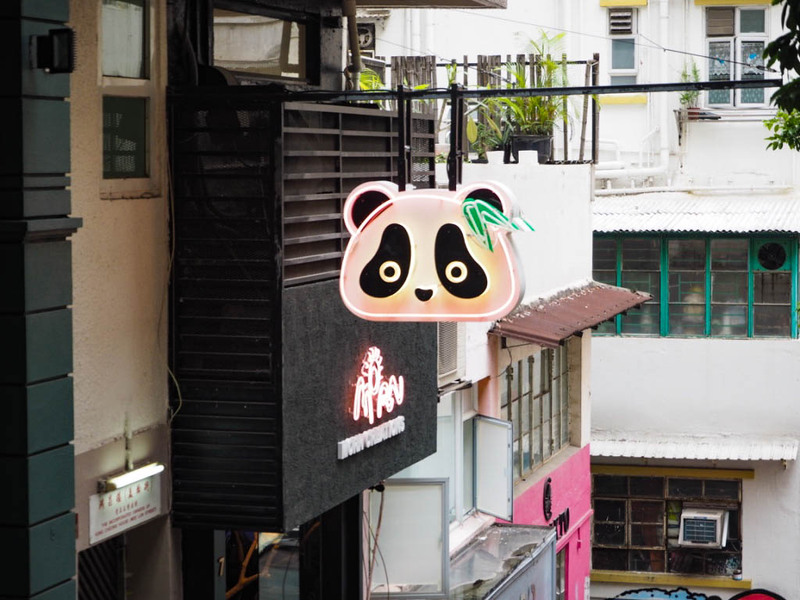 Hong Kong isn’t rife with it to the extent of somewhere like Melbourne, but there is so much hidden down alleyways and quiet streets within Sheung Wan. 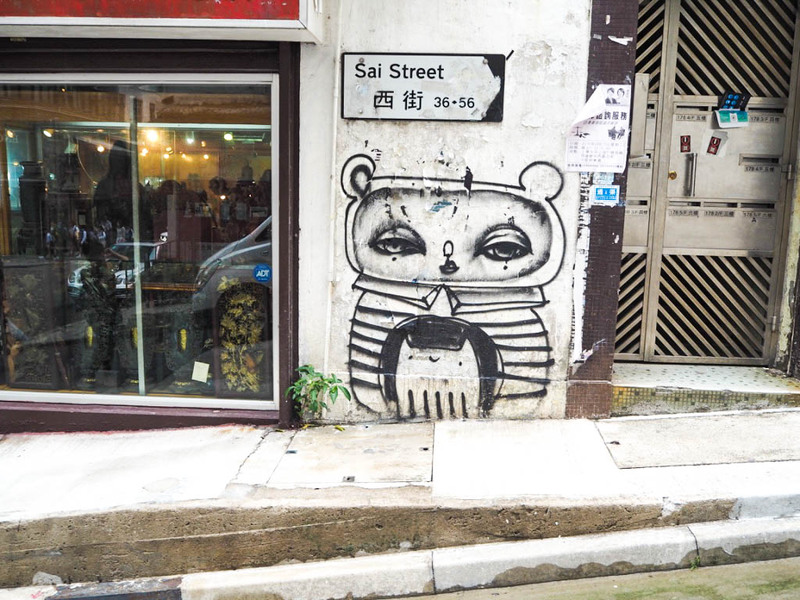 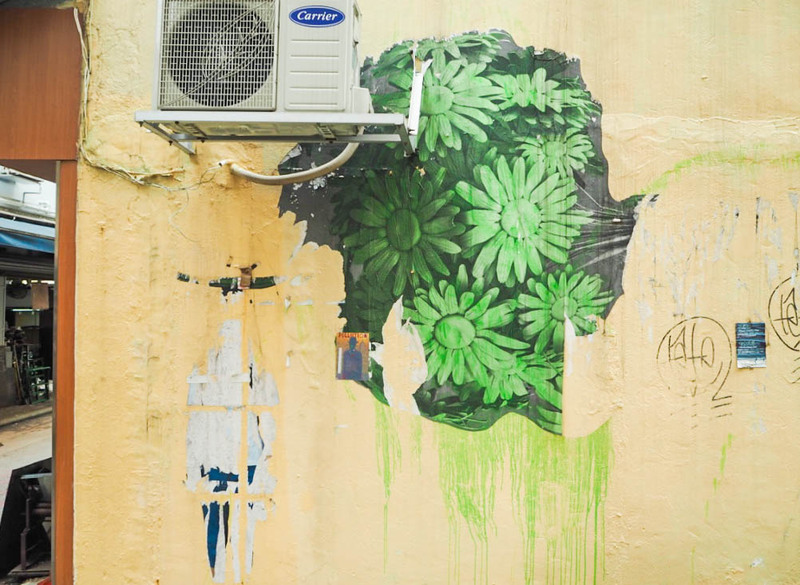 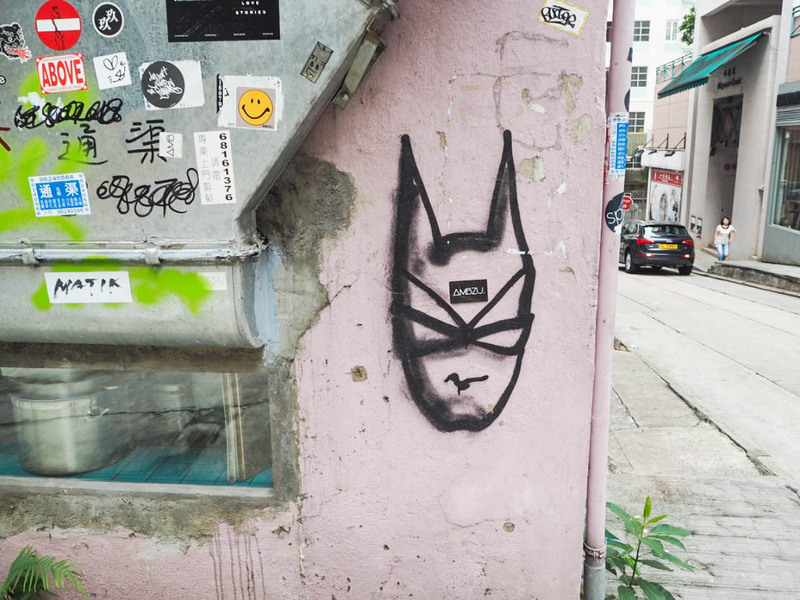 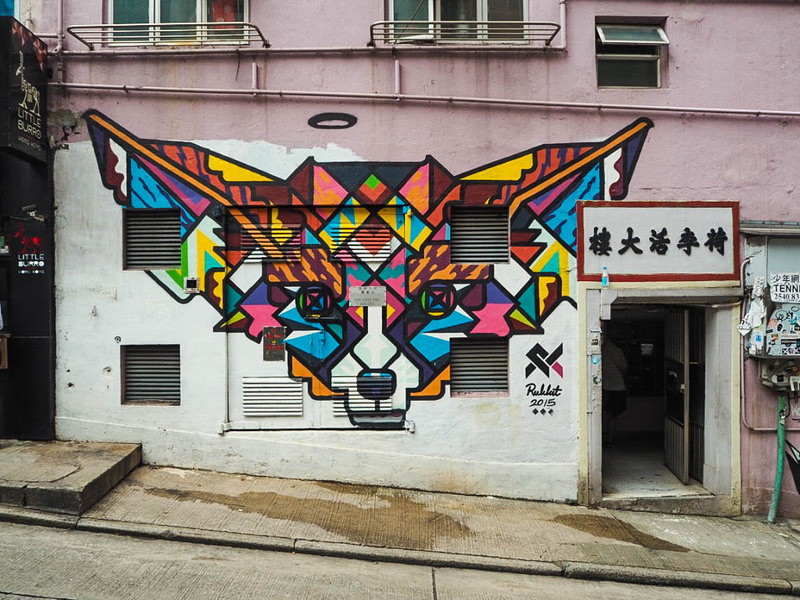 Many of the pieces are part of HK Walls, a non-profit arts organisation that aims to showcase new talents throughout Hong Kong, so it’s all approved and above board, as well as making the streets alive with even more colour than usual. 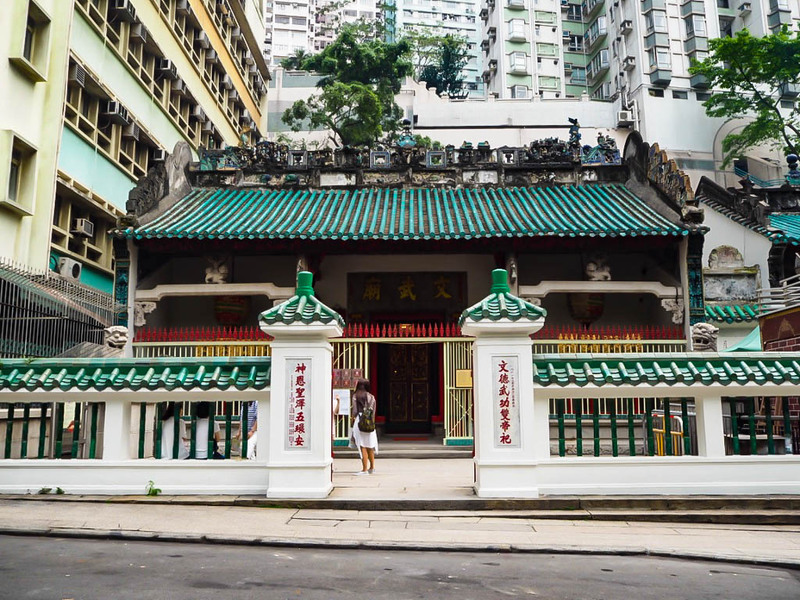 I love that amongst huge tower blocks and skyscrpaers, Man Mo temple is nestled in on Hollywood Road, looking pristine and calm as though it’s oblivious to the buildings now surrounding it. 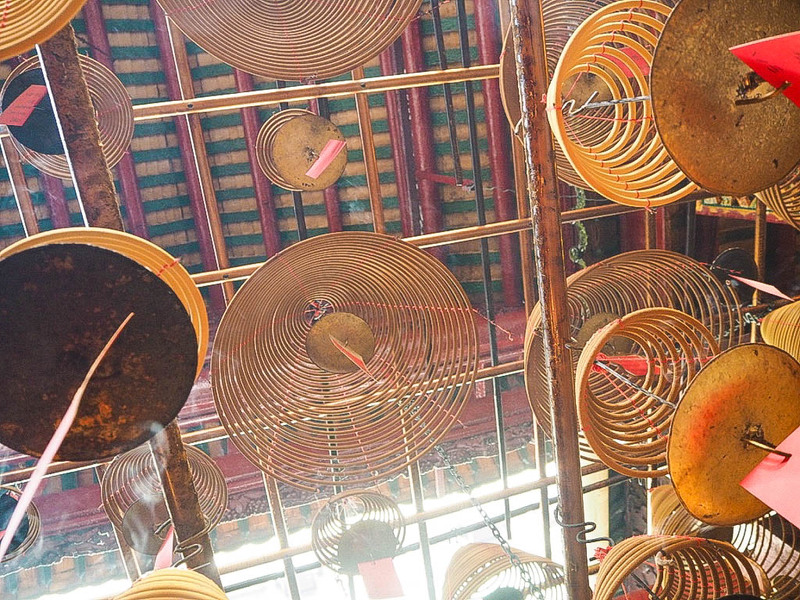 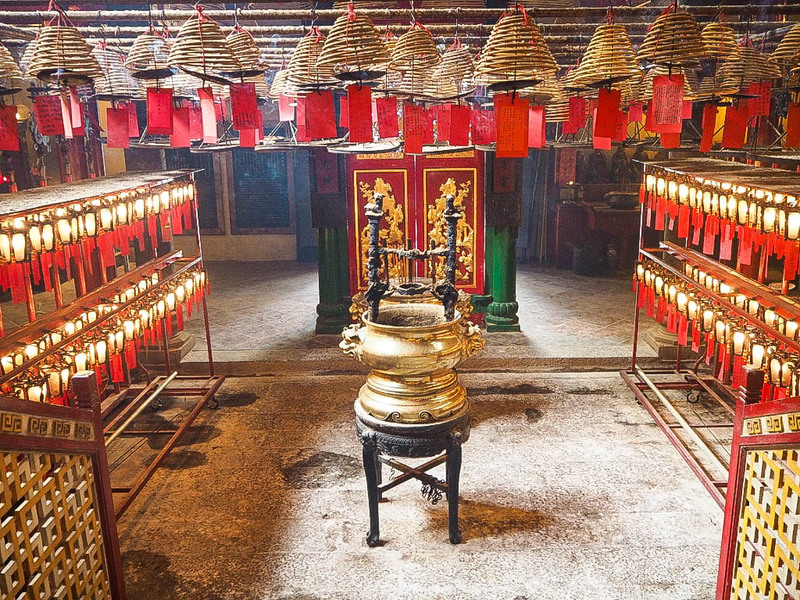 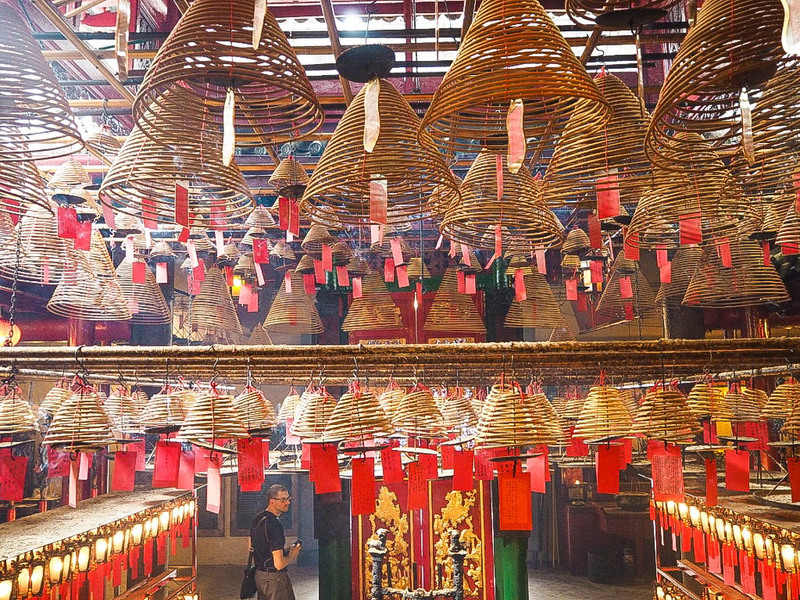 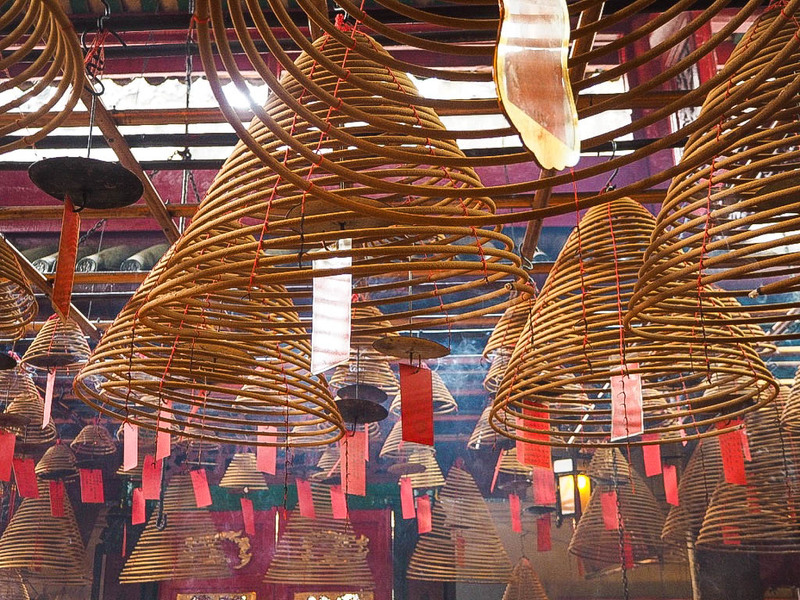 Inside are gigantic swirling incense sticks that hang from every available space on the ceiling. 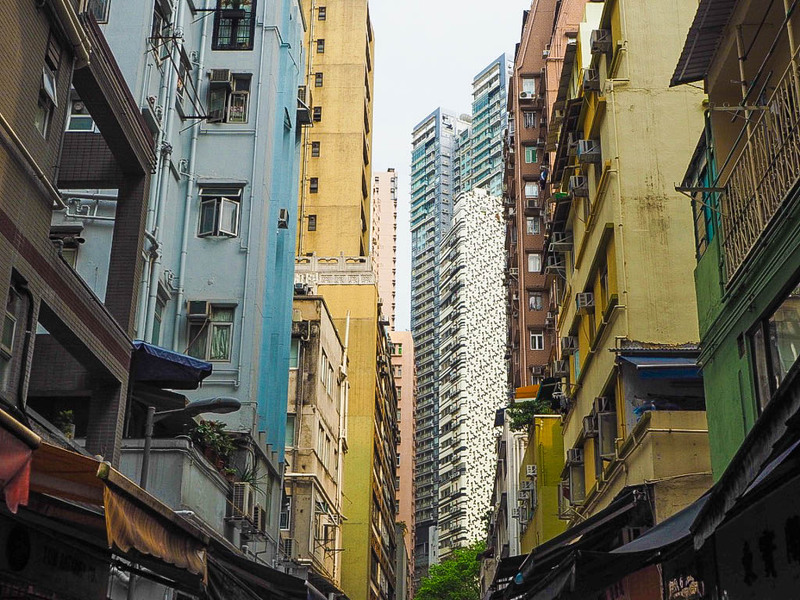 It’s a sensory overload at first, your eyes watering and the smell overwhelming everything, but it is truly beautiful inside and I’ll absolutely be taking another trip there on my next visit to Hong Kong in September. 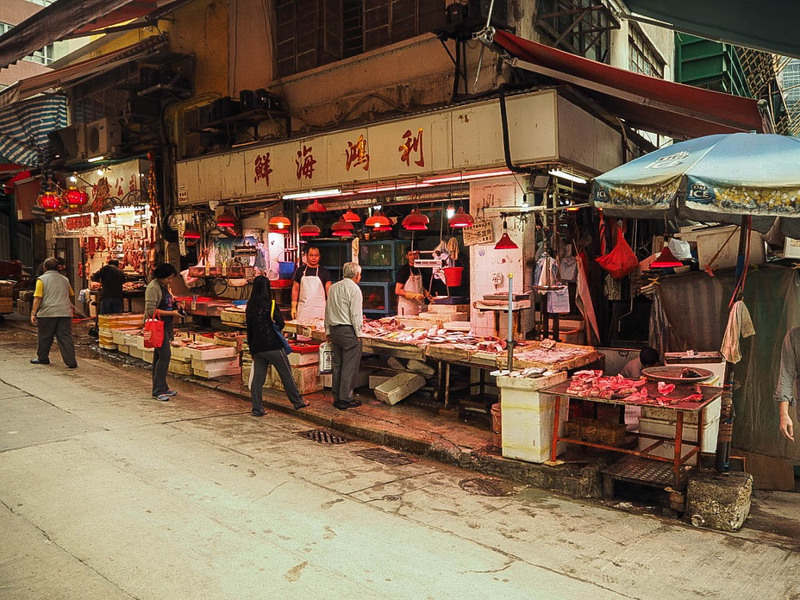 As well as the boutique shopping, there are roads full of Chinese stores and stalls. 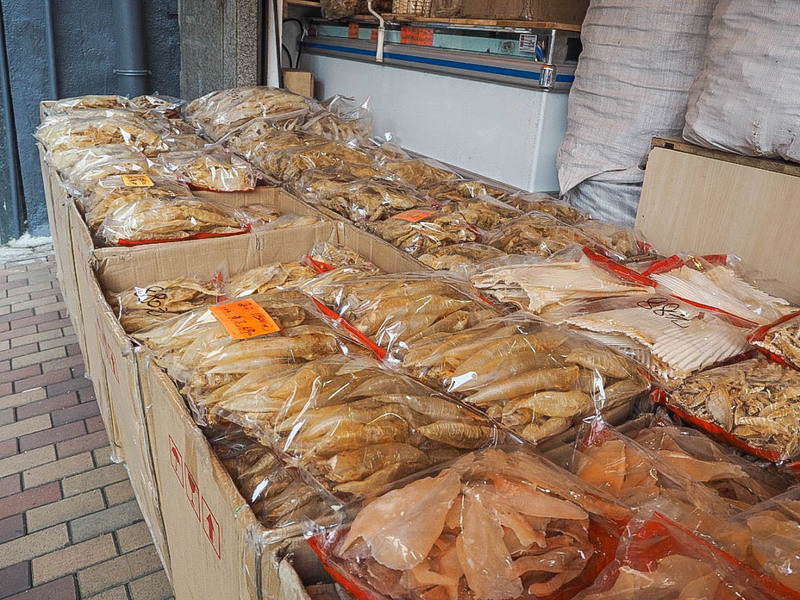 There’s entire streets devoted to dried seafood, ginseng and bird’s nests, all used in traditional cooking and/or medicine. 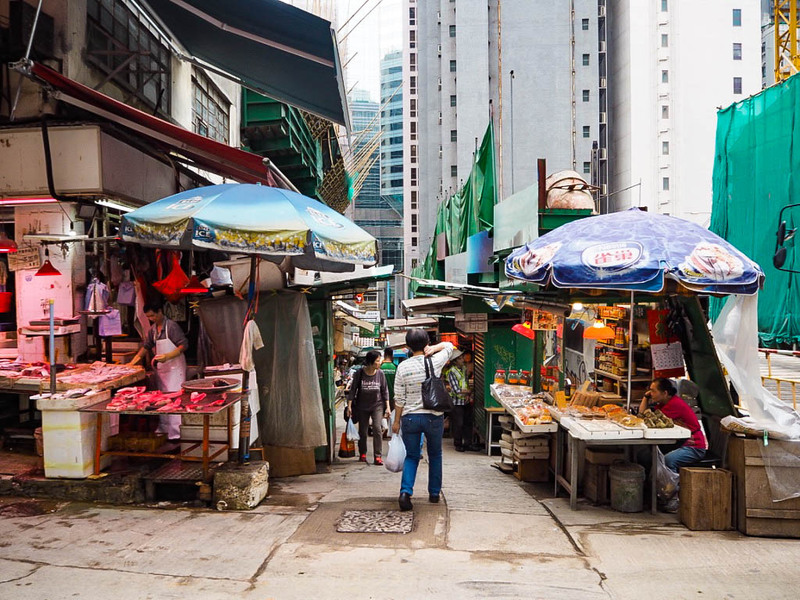 It’s not necessarily the sorts of things I would buy, but it’s an experience to walk through streets that are so unfamiliar when they’re so close to the sorts of places I’d go to at home.